As you all might know, Nerf Wars has started here at Highland. Every year students organize it and it lasts for about a month. Some of you might not know what it is, so what does Nerf Wars consist of and how does it work? Nerf Wars are very fun to play with friends and family. It is an activity using Nerf guns or other toy weapons. Nerf Wars include outdoor battles and shoot-outs, it can take place anywhere, any area with a good amount of space are good candidates. With a large range of participants, outdoor areas are great for Nerf War battles. Nerf guns are relatively safe and cheap. Here at Highland, there’re about 30 teams, each team including 5 players on each team, and all grades can participate. It is not a school planned activity, usually a group of seniors set it up and are known as the commissioners. Everything takes place outside of school and is not associated with any SPPS extra curricular activities. The commissioners set up a bracket, the rankings are based off of how many seniors are on the team, athleticism, how many licensed drivers, and car access. Nerf Wars can be an entertaining event for people who are not playing as well. Teams and Highland Nerf Wars have set up twitter pages where you can interact with each other, read funny updates on teams wins and loses, and see photos people post about it. 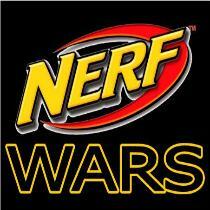 Overall, Nerf Wars is an annual game that many enjoy participating in to end off the year with some fun. Again, as previously mentioned, Nerf Wars are not a school sponsored event, and the school takes no responsibility for student conduct connected to Nerf Wars. 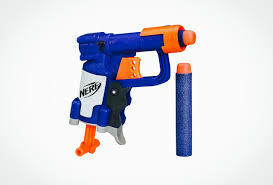 Bring Nerf Wars to school at your own risk, as school discipline related to unacceptable behavior may apply.